Professional Java training in Nepal course is one of the key IT training courses in Nepal that has been designed for programmers, programming enthusiasts, IT student, CSIT Student and all the emerging Java developers looking to gain the highest level of proficiency in Java programming language. Considering the global popularity of Java as a professional IT training course Techaxis Nepal has designed a world-class training curriculum to provide career-focused training and produce globally competent Java programmers. Java is a programming language which has shown its efficacy and efficiency in creating broad assortment of platform independent desktop software to on-line software TechAxis has designed a global standard Java learning class that includes fundamental Java introduction to advanced programming methods using this terminology. The class covers all of the essentials of learning Java for example their consequences in creating easy to strong and higher end programs. Java programming is a object oriented programming language. 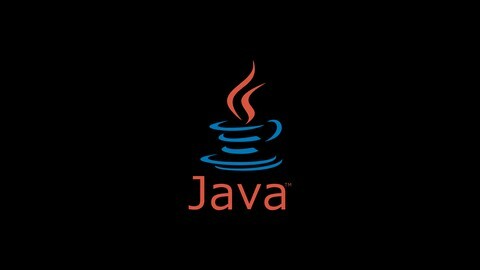 Java was developed by James Gosling and Patrick Naughton in an American Company Sun Microsystems in 1991 which used to sell Computer Hardware. And later on in 2009 Oracle Corporation acquired the Java. The main aim of Java is to write a program and then run that program on different operating systems. Why Java Trainig In Nepal? Well the computer technology is being advance day by day and so does the computer software. In today’s context even a small grocery shop need computer software to keep their daily data safely and easily. Java plays a vital role in making software and websites since its popularity, worldwide validation and platform independent. Since the language has an English-like syntax with minimal special characters, Java is reasonably easy to learn and most developers pick up it as their first programming language to construct suitable applications. Many countries are ready to pay high salary for java professionals despite no experience. Which does not only include US & UK but developing countries like Nepal and India who are having a lack of Java professionals to fill in various positions. Java certification provides you a close look to the current trends in the market. Along with it certification will assist you in getting job all over the world. Java is a rapidly growing programming language. As of 2018, there are a lots of opportunities for Java developers. With a project growth rate of 19 percent for the 2014-2024 period. Java has started a new era for IT sector and IT professional. plans already afoot to introduce new language features, like value types, in JDK 10, Java might too emerge as the Programming Language of the Year even ten years down the road! After getting Java Trainig IN Nepal anyone can consider following job roles.